Sao Paulo congregation rededicates centennial synagogue 100 years after it first opened. The second oldest congregation in Sao Paulo, Brazil’s most Jewish-populated city, will dedicate a new synagogue next year, a century after it was opened. Knesset Israel was founded in Sao Paulo in 1916. 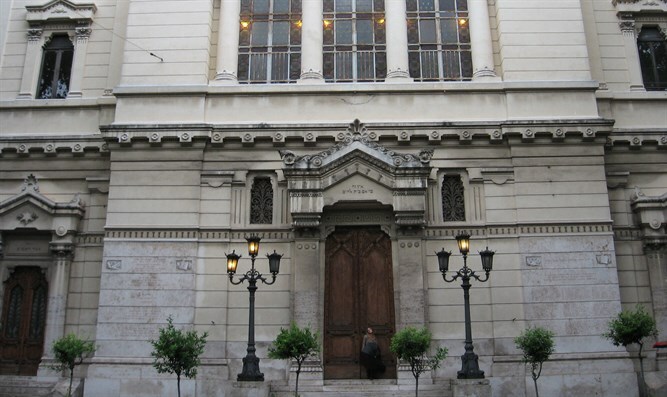 Usually referred to by its nickname, Groisse Shil, Yiddish for “big synagogue,” it was completed in the central Bom Retiro district in 1918. The new state-of-the-art building located in Higienopolis, a heavily Jewish neighborhood a few miles away, will feature two sanctuaries, ritual baths, a library, a ballroom and classrooms. Jewish immigration to São Paulo formally began at the end of the 19th century, and an organized community started in 1910 with immigrants from Eastern Europe including Russia, Poland, Romania and Lithuania, followed shortly by those from Lebanon and Syria. The city’s first synagogue, Kahalat Israel, was founded in 1912. During both World War I and World War II, the Groisse Shil welcomed European immigrants, including Holocaust survivors, who fled to Brazil. In 1957, a major reconstruction was performed. In 1994, a rabbi was hired to lead the congregation after 30 years without a spiritual leader. Following the movement of Jewish families out of Bom Retiro, a new headquarters was established in the Higienopolis neighborhood in 1997. In 2011, the cornerstone of the new Knesset Israel building was laid. Home to some 60,000 Jews, or half of Brazil’s Jewish community, São Paulo has 30 synagogues. The 2,000-family CIP, affiliated with both the Conservative and Reform movements, is considered the largest in Latin America.